The Bowen Ratio is defined as the ratio of the latent heat flux to the sensible heat flux. 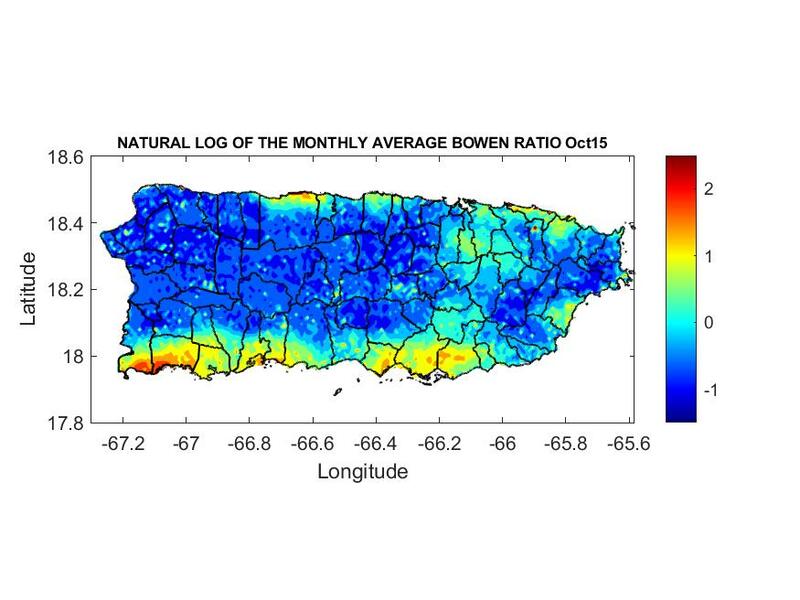 The results are shown as the natural log of the Bowen ratio. A negative value indicates that the latent heat flux (proportional to evapotranspiration) is greater than the sensible heat flux. 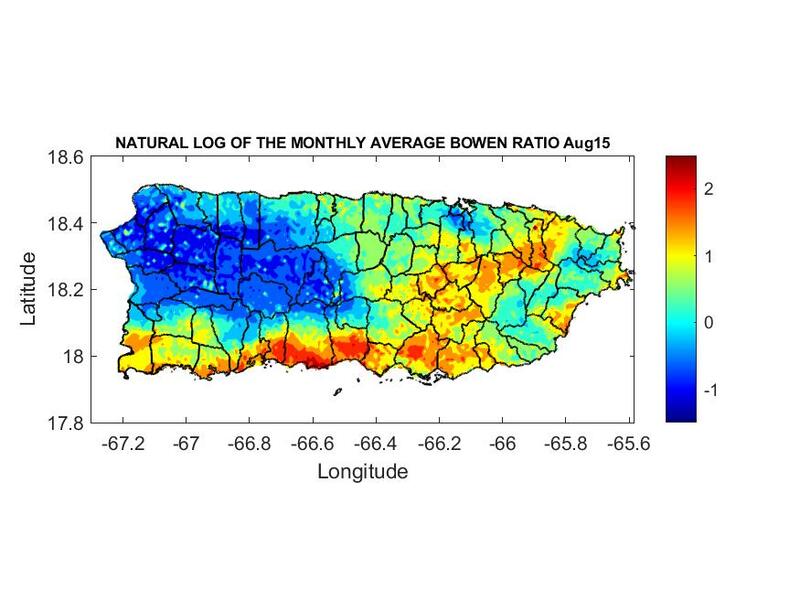 This is a preferable state for vegetation and is associated with non-stress conditions. When the natural log of the Bowen ratio is positive, it means that the sensible heat flux is greater than the latent heat flux, indicating water stress conditions. 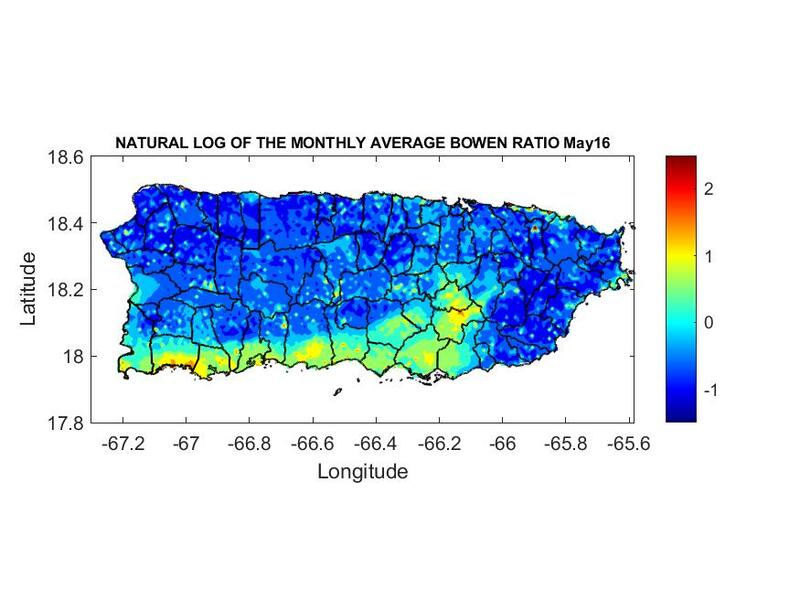 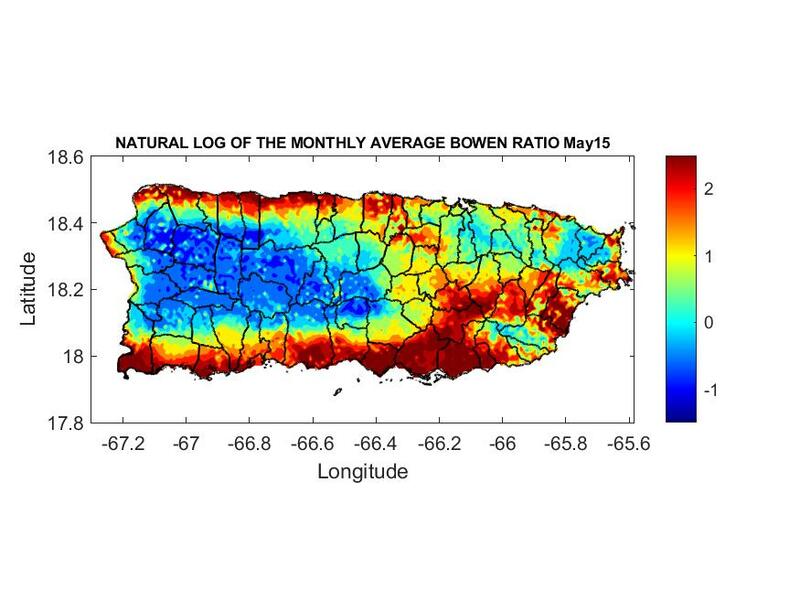 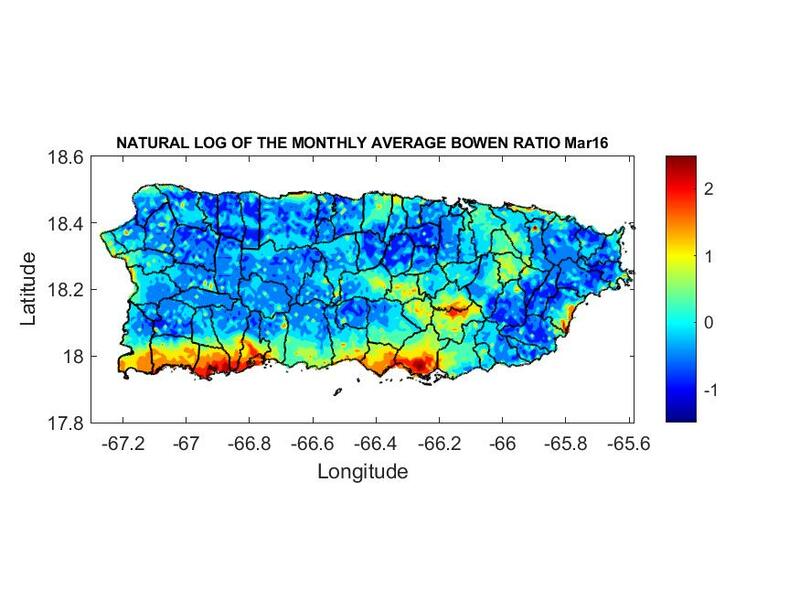 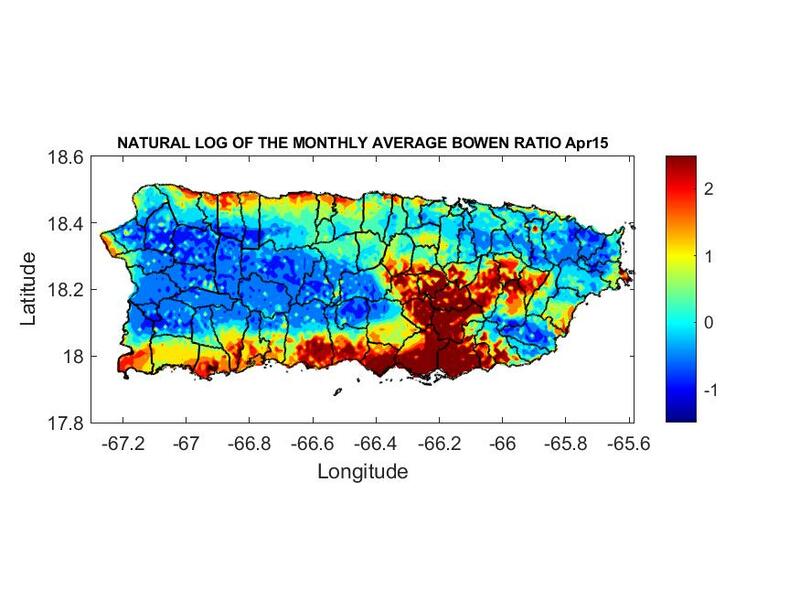 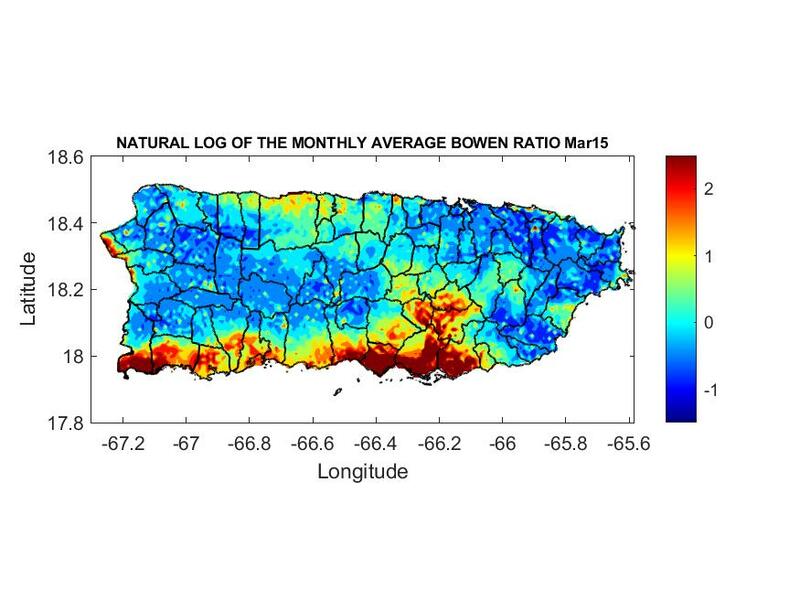 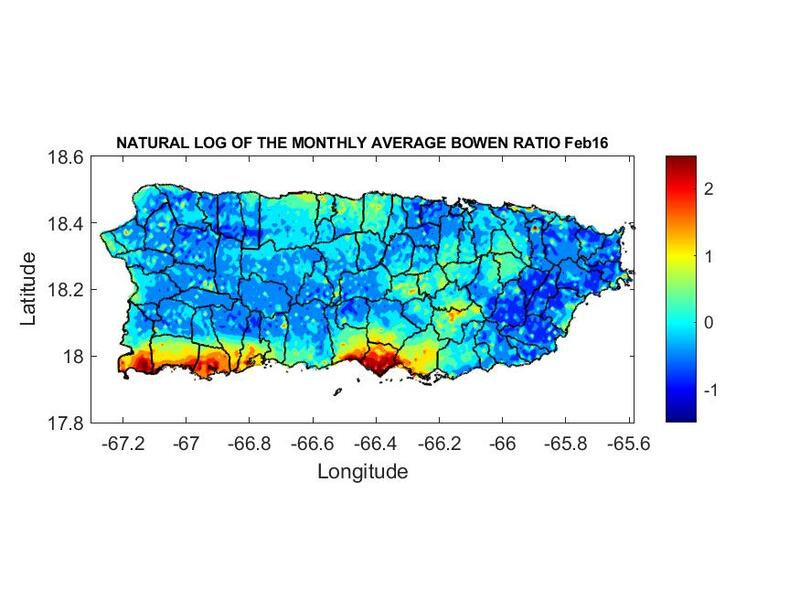 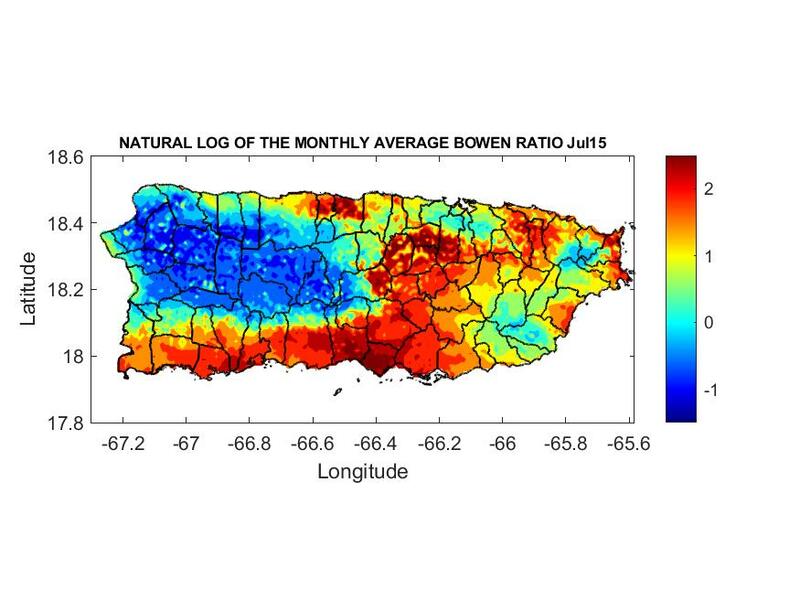 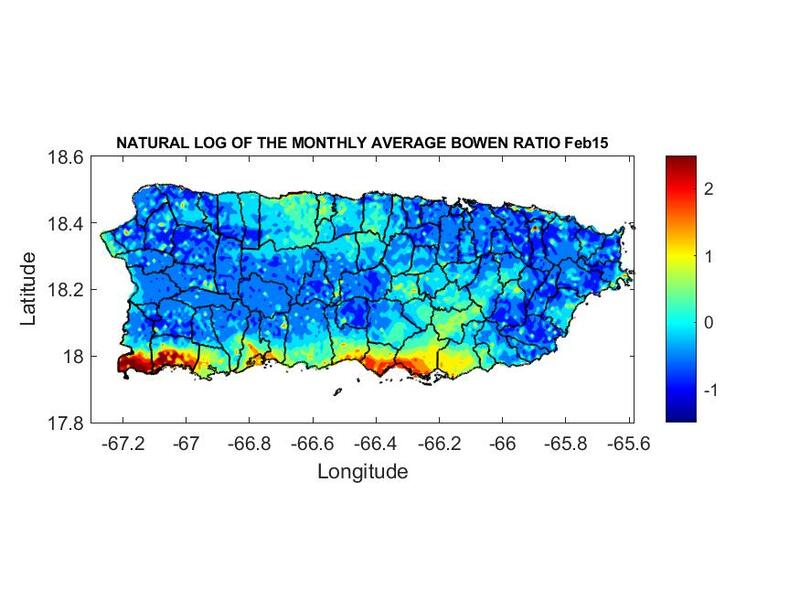 Note that the month associated with the estimated natural log of the Bowen Ratio is shown at the top of each map.